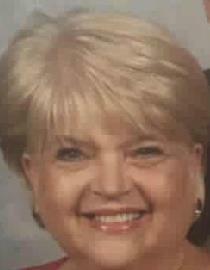 Joyce "Joy" Bible Parker, 69, of Jasper, Tennessee went home to be with the Lord after a lengthy illness on Wednesday, November 7, 2018. Joy graduated from Chattanooga High School in 1966 and received her bachelor's degree in Education from MTSU. She influenced many lives as an educator in Marion County for over 30 years and as a Sunday School teacher at Jasper First Baptist Church for over 40 years. She was preceded in death by her parents, William Floyd and Dolly Bush Bible; and her husband of 46 years, William "Ed" Parker. Those left to cherish her memory are her daughters, Elizabeth Parker West (Gene), Meredith Parker Cate (Chris); sister, Sue Bible Barker and her children Bill, Alan and Kendra; and grandchildren Tristan, Austin, Chandler and Alyssa. Visitation will be held on Saturday, Nov. 10, from 10 a.m.-2 p.m. CST at the funeral home with funeral services immediately following in the funeral home chapel with Brother Greg Steelef officiating. Those desiring may make a memorial contribution to Tennessee Donor Services at tds.dcids.org.